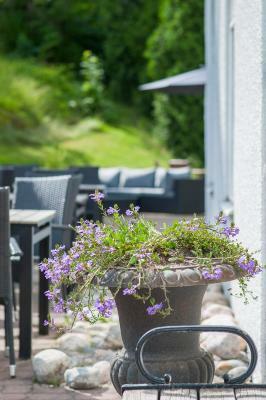 Lock in a great price for Blommenhof Hotel – rated 8.6 by recent guests! Wonderful indoor pool & entertainment place, excellent breakfast, clean room. 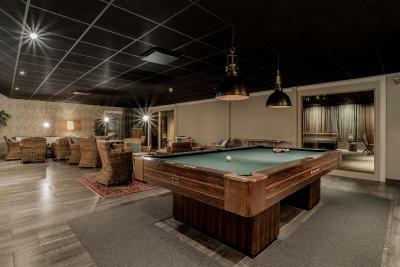 The game room, pool, lounging area near the bar and the artwork/design of the place. 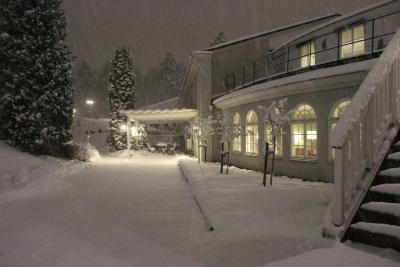 Very cosy hotel with lots of activities. The feeling is like at home. Breakfast is healthy choice. Kids enjoyed a lot and asked to stay longer. Unfortunately we stayed only for one night. The staff were very friendly and their english was very good! As my swedish was non existant. 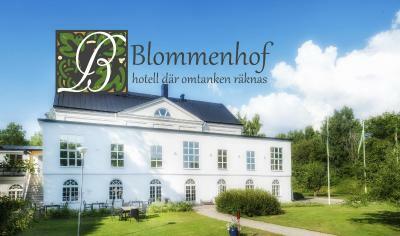 Blommenhof Hotel had a great location on the outskirts of Nykøping, just 7 minutes drive from Skavsta Airport. The hotel was surrounded by a beautiful park with children's playground. The staff at the hotel were pleasant and seemed to do everything to make a great stay. The guest rooms were large and nicely decorated in a classic style. The bed was nicely made and the mattresses were good. The bathroom was simple but practically furnished. There was free wireless throughout the hotel. The hotel's breakfast was very good and consisted of a good selection of hot and cold dishes. Several of the dishes had local origin and were organic. Coffee and tea were available and free to guests 24 hours a day. 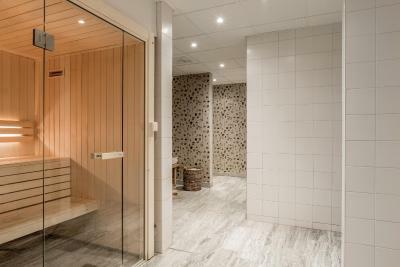 The hotel had a great wellness and fitness area with pool, Finnish sauna and steam sauna. There were also several lounges, a library and several toys and games for children. The location is pretty nice and calm. Free from loud neighbors and noisy people. 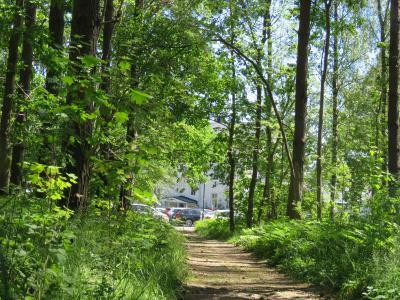 It's easier to get around if you rent a car, but it's a nice location. 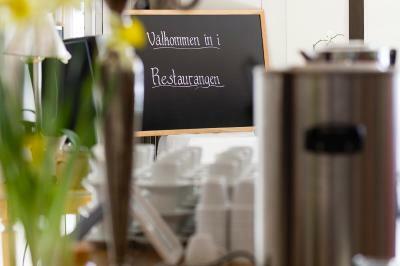 The food was very delicious, and the staff was polite and helpful all the time. 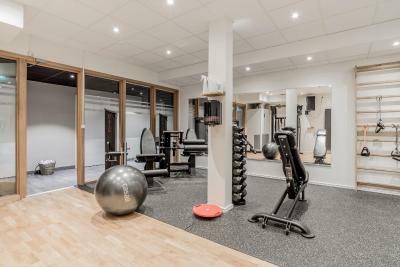 The room was spacious and clean, the staff very friendly and helpful, the wellness and playroom exceeded all expectations. Huge like for the super bikes! 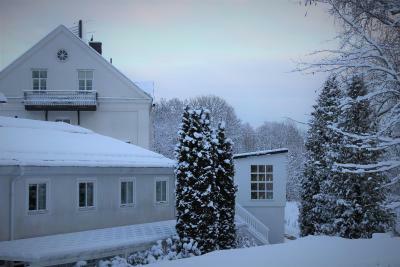 Cozy, comfy - great place to stay if you want to explore the city and sorroundings. 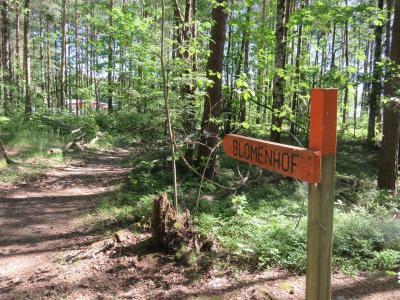 Blommenhof Hotel This rating is a reflection of how the property compares to the industry standard when it comes to price, facilities and services available. It's based on a self-evaluation by the property. Use this rating to help choose your stay! One of our best sellers in Nyköping! 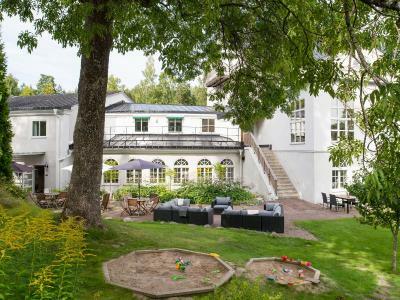 Located only 3.1 mi from Skavsta Airport, Blommenhof Hotel offers a range of relaxation options and Swedish-style rooms with free WiFi. Nyköping city center is a 7-minute drive away. All rooms at Blommenhof Hotel include a work desk and cable TV. 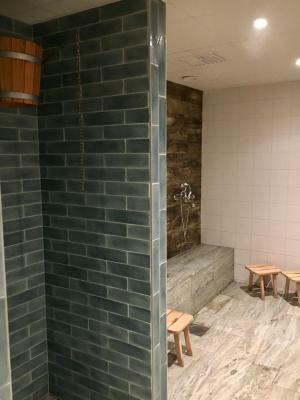 Some rooms include a bath. 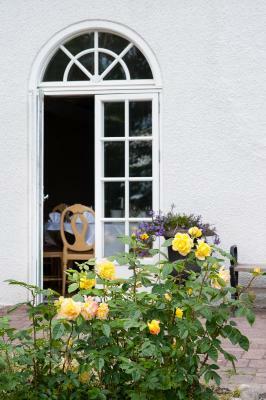 Swedish dishes with contemporary international influences are served at the in-house restaurant, overlooking the garden. A buffet breakfast is offered every morning. Drinks are available in the cozy hotel bar. 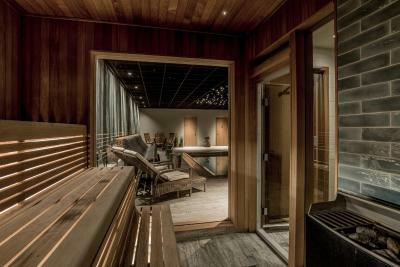 On-site relaxation options include a sauna and an indoor pool. 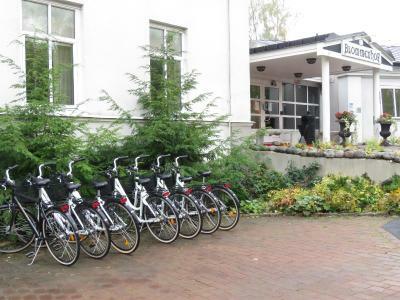 Guests wishing to explore the surroundings can borrow bikes from the hotel reception. Nyköping Central Station is a 5-minute drive away. 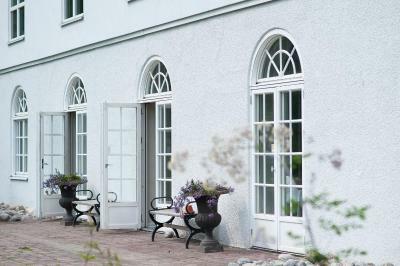 Ärila Golf Club is located 5.3 mi from this manor-style hotel. 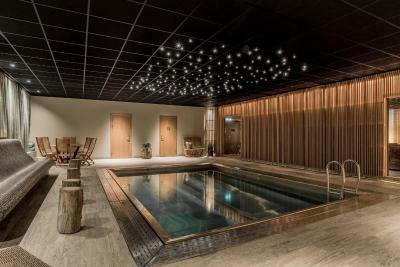 When would you like to stay at Blommenhof Hotel? 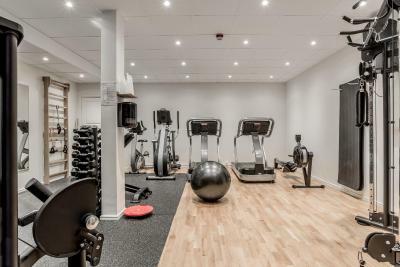 Includes an armchair, flat-screen TV and a private bathroom with shower and hairdryer. Includes a seating area, flat-screen TV and a private bathroom with shower and hairdryer. Two-bedroom suite with a private sauna, spa bathtub and a living room with a sitting area and flat-screen TV. Includes a seating area, flat-screen TV and a private bathroom with shower and hairdryer. Please note that 2 beds are fold-out beds. Larger double room with fireplace, flat-screen TV and a spa bathtub. This room includes a seating area, flat-screen TV and a private bathroom with shower and hairdryer. Please note that the room provides a sofa bed for 2 children. 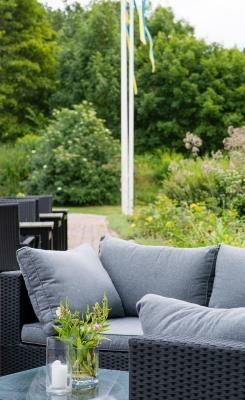 House Rules Blommenhof Hotel takes special requests – add in the next step! Debit card Blommenhof Hotel accepts these cards and reserves the right to temporarily hold an amount prior to arrival. Blommenhof Hotel accepts these cards and reserves the right to temporarily hold an amount prior to arrival. The free evening meal was a just a child’s portion really. If you’re hungry after travelling I would eat prior to arrival.. but then I guess it it free! The cleanliness of the room could have been any better. 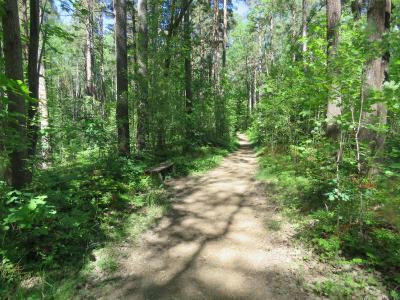 Slightly offset from town but beautiful for the nature. We had booked Dinner B&B but were surprised that the dinner consisted of only one dish with no choice. Fine until you hit on something like "goulash soup " as the only dish. The Conference people ( and there were many) ate from a very yummy menu... we looked at them with envy ! Excellent facilities and food. 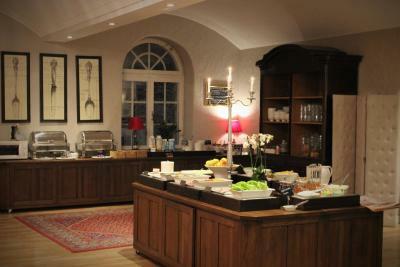 The evening buffet was very tasty and we enjoyed the breakfast as well. Thank You! The motorway did pass next to the house and there was lots of traffic also during the night. No air conditioning, the attic rooms were very hot. The waiters in the evening didn't do their Job very well, they forgot the orders again and again even there wasn't much guests. 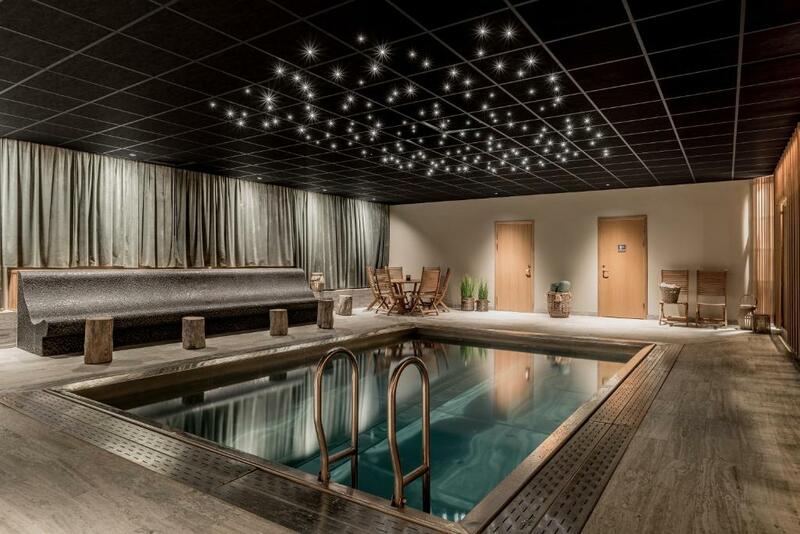 Nice swimming pool and sauna in the house. 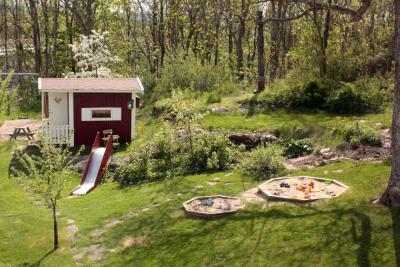 Lots of things to do for the kids in the garden. 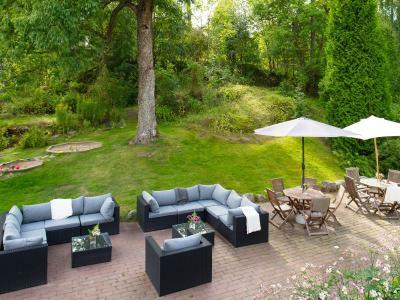 Nice house and garden and great breakfast. In the evening you could buy some sandwitches. Parking place in front of the house. Short distance to the motorway. Nice family room with two adults and two kids. Leaking shower tap in bathroom, this must have been reported by previous guests as a sticker stating ”trasig” (broken, in English) had been stuck to underside of unit, but for whatever reason, the leak had not been fxed. Mould in shower, probably as a result of the constantly dripping shower connection. Bathroom fittings very old and of low standard. No air con, though two table fans available in room. About five channels on the telly, nothing in English. Decor old and not pretty; the whole place had a cheap feel to it. 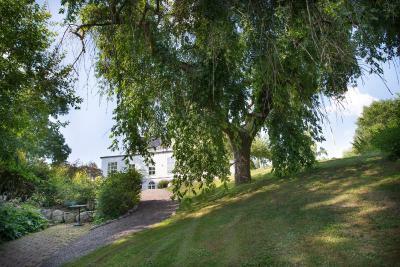 Location was good, beautiful setting with Sörmlandsleden right on the doorstep.